A massively proportioned number eight with a penchant of scoring tries. Williams began his career with North Harbour in the Air New Zealand Cup before representing The Blues in the Super 14. William’s impressive Super 14 form caught the attention of Munster, who moved for the 6’3 inch Aucklander in 2008. Due to injury, Williams only represented Munster on 19 occasions, but he can be suitably proud of his performances in the red of Munster; scoring 4 tries, including a hat trick against the Newport Gwent Dragons. After his Munster contract expired, Williams joined the Italian club Aironi on a one year deal in 2010. In the summer of 2012, Williams joined Ulster. Williams agreed a deal with the Cardiff Blues on December 2015 for the 2016/17 season. By 9 January 2018 Williams had made 35 appearances for Cardiff and his fine form was rewarded with a contract extension with the club. 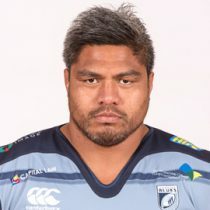 As of the 2018/2019 Champions Cup, Williams has had 33 European Cups appearances scoring 4 tries and 15 points.